Most borrowers know well enough the importance of finding well priced mortgage rates, closing costs, homeowner’s insurance and other moving related costs but few know that they have a choice in private mortgage insurance. . . . But you do!!! Ask your loan officer about the benefits of the different types of private mortgage insurance such as “borrower paid monthly,” “lender paid,” “split premium” and “single premium” mortgage insurance. To learn more about these types of mortgage insurance right away, click here. If you are curious about whether or not your mortgage interest, points or mortgage insurance qualify for a tax deduction, please see this IRS publication for guidance – click here. With the variety of choices in mortgage loan programs available, sometimes the selection process can be mind boggling. At iLoan we’re here to add our expertise to help you with that process but we are also here to equip you with enough tools and information to put you in the driver’s seat. With the combination of our mortgage calculators, loan pricing engine, mortgage insurance calculators and this informational resource page regarding loan types and programs, we hope to be giving you the tools and knowledge you need to confidently make an informed decision. Feel free to contact us at any time to request additional information and resources in this endeavor. ● The mortgage to be refinanced must already be FHA insured. ● The mortgage to be refinanced should be current (not delinquent). ● The refinance is to result in a lowering of the borrower’s monthly principal and interest payments by at least 5% of the existing payment. When it comes to searching for real estate online, we invite you to check out the Home Buyers Scouting Report® (HBSR) from Home Buyers Marketing II, Inc. 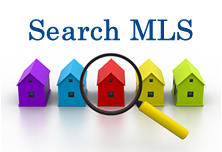 The HBSR is a FREE, secure website that lets you customize your home search and view all the available homes in this market that match your personal search criteria. And, when newly listed homes that match your search criteria become available, you’ll be the first to know with email alerts from HBM II. Click on the link to start your search or contact me for more information.